What exactly did the ancient Maya have to say about the year 2012? Find out in 2012: Day of Reckoning! Daniel J. Gansle is an independent researcher, freelance journalist, technical writer, and the author of several books elucidating modern prophetic thought including 2012: Day of Reckoning, Your World, Your Future, & Bible Prophecy: How the Merging of Technology, Spirituality, and Bible Prophecy Will Rock Your World, and Rapture Redux: Living With Hope and Purpose in the Last Days. He has spoken on the topic of prophecy in world religion extensively at book signing events; radio shows including FishBowl Networks' "Dead End" and American Freedom Radio's "The Truther Girls;" and on The History Channel’s Nostradamus Effect ("Satan's Army," aired November 11, 2009 and "The Rapture," aired December 16, 2009). Mr. Gansle holds a University degree in Cultural Anthropology with a concentration in Mesoamerican studies. He currently resides in Dallas, Texas. Does the eerily precise Mayan calendar prophesy doomsday on December 21, 2012, or does it predict a glorious new age of raised consciousness? Does a hidden monument in Mexico finally put to rest what the Maya knew? 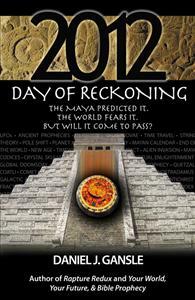 2012: Day of Reckoning takes readers on a hair-raising journey to unlock the mystery behind the lost prophecy of the ancient Maya. From galactic alignment to pole shift to Planet X/Nibiru and a starling prediction of time travel and The Singularity, 2012: Day of Reckoning elucidates the Mayan prophecy with commentary from top Maya scholars and leading voices in the movement. Click here to Look Inside 2012: Day of Reckoning on Amazon! From the author of Rapture Redux: Living With Hope and Purpose comes a cutting-edge interactive edition that tackles the question everyone is asking: where is technology taking us? What does it mean for our future? And what does the Bible have to do with it? With in-depth discussion of such critical issues as peak oil, global warming, and increasing surveillance, Your World, Your Future, & Bible Prophecy provides the answers straight out of the pages of the most accurate prophetic text in the world: the Bible. 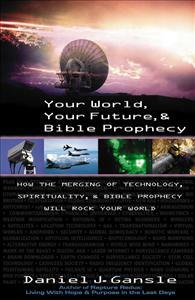 Click here to Look Inside Your World, Your Future, & Bible Prophecy on Amazon! 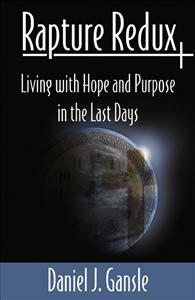 Rapture Redux: Living With Hope and Purpose in the Last Days is a life-changing book that takes on one of the most misunderstood and controversial issues of our day: the pre-Tribulation Rapture of the Church. While many interpret the Rapture as a negativistic, gloom-and-doom event, Rapture Redux finds it otherwise. In fact, the Rapture is the most joyous, most blessed time in church history! Filled with hope, inspiration, life application side notes, and a passion for God’s truth in prophecy, Rapture Redux explains this mystery in terms everyone can grasp. Click here to Look Inside Rapture Redux on Amazon!